The first step is to obtain the package which suits your Linux distribution. For the sake of simplicity, we’ll install KAS using the debian packaged file. Once KAS has been installed, it will show on the screen a number of steps you must perform to complete the installation. 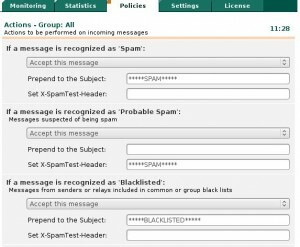 This includes installing the license key, enabling automatic updates and integrating KAS with your SMTP engine. The great thing about KAS3 over KAS2 is the web interface. 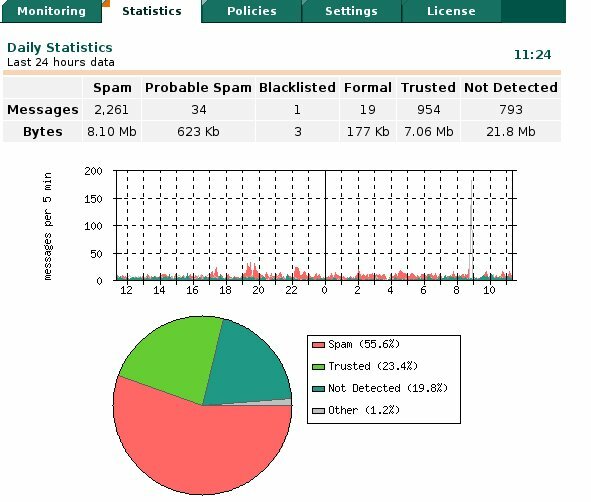 Kaspersky Labs has developed a web interface, allowing you to configure various components of the software. Once that’s done, you can simply type in your browser; http://ip-of-kas-server:3080 and whola! You’re away. I won’t delve into how to configure the application as its pretty self explanatory. Simply hit the policy page and configure the action rules, which state what should happen to SPAM once detected (whether it should be deleted, redirected etc). Kaspersky is the best Anti-Virus program i have ever used. it is way better than Mc Affe and Norton Antivirus.